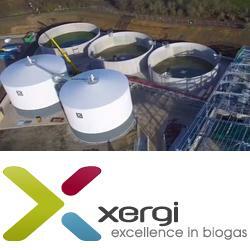 Xergi delivers industrial biogas plants designed to deliver a high biogas production for the customer. Our biogas plant projects are designed by using a modular design process, which ensures a fast and cost-effective construction for a wide range of biomasses. A biogas plant optimises the utilisation of manure, waste and other organic feedstock by converting the biomasses into energy and valuable bio-fertiliser. Based on more than 30 years’ experience Xergi has developed a plant design which ensures a high level of flexibility, a high level of biogas energy production and a stable operation without costly breakdowns. Xergi delivers industrial biogas plants designed to deliver a high biogas production for the customer. Our biogas plant projects are designed by using a modular design process, which ensures a fast and cost-effective construction. A biogas plant from Xergi is always optimised to give the best return on investment. We focus on a high biogas production, low operational costs, low maintenance costs and a high flexibility in the biomasses that can be used in the biogas plant. The market for biomass is constantly changing, which is why the biogas plant should be able to deal with changes of the feedstock used in the plant. Such changes require a flexible biogas plant. Xergi has therefore designed different modules to the feeding system so it can be adapted to handle changes in the biomass. If the plant’s original design is not suitable for a specific type of feedstock, it is easy to attach a new module that ensures an efficient pre-treatment of the new type of feedstock. Likewise, it is possible to adjust the biogas plant’s output of energy and digestate, should changes occur in the plant’s sales. Xergi’s plants are constructed using industrially manufactured quality components, and our biogas concept is based on automated controls and monitoring of all processes. Construction: Turnkey contractor of biogas project. Commissioning: Meeting recognised industry standards and methods for cold testing, hot testing, functional testing and more, schedule for feedstock, etc. 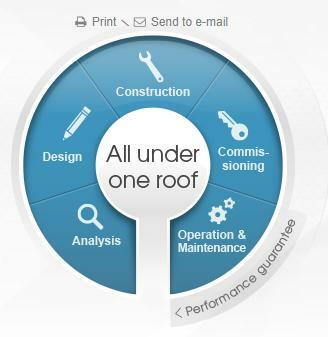 Operation and maintenance: for example, biological process support packages, spare part packages, system service package, gas engine service, tailormade O/M agreement. Based on our experience, we have very good insights into what makes your biogas project feasible. We will be your partner in developing the most profitable biogas plant. As a first step we will estimate the energy potential of the biomasses and help you find the best biomasses for your biogas plant. We will estimate the biogas plant cost and optimize the design of the biogas plant to your project.